This interview with Bob Galen is part of our series of “Testing Smarter with…” interviews. Our goal with these interviews is to highlight insights and experiences as told by many of the software testing field’s leading thinkers. 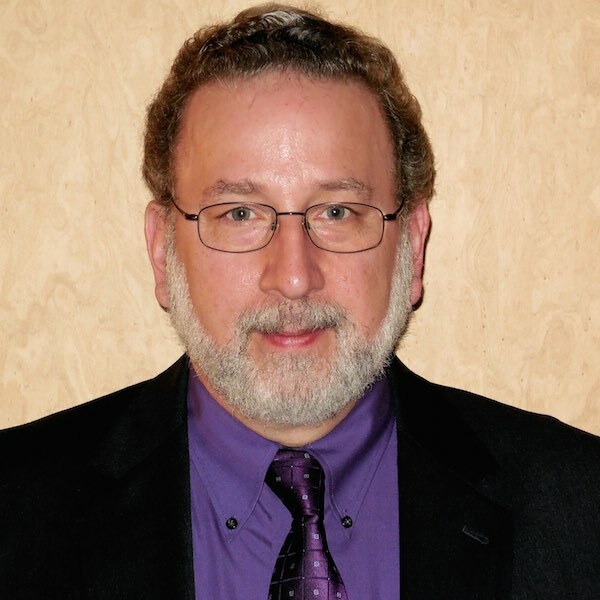 Bob Galen is an Agile Methodologist, Practitioner & Coach based in Cary, North Carolina. In this role he helps guide companies and teams in their pragmatic adoption and organizational shift towards Scrum and other agile methodologies and practices. He is Director, Agile Practices at Zenergy Technologies, a leading agile transformation company. Hexawise: You have a background in agile software development: what led you to expand the scope of your advice to include a particular focus on software testing? Bob: My background is in software development or as a developer. Early in my career, I accelerated in leadership roles and began to lead testers (and other roles) as well as developers. I felt that it would be impossible for me to lead folks whose role and skills I didn’t understand, so I sent myself to school for testing. Hexawise: Which person or people have had the greatest influence on your understanding and practice of software testing? Bob: Ross Collard taught my first 5-day workshop on the art and practices of software testing. To this day, he’s had a great influence on me. As has, Rob Sabourin, Lisa Crispin, and Janet Gregory. Hexawise: Who have been your greatest influences from a management perspective (not necessarily specifically related to software testing)? Bob: I’ve been fortunate enough to work with some outstanding leaders whom I consider mentors, colleagues, and friends. One is the late Rick Bozzuto who I worked with while at Micrognosis. The other is Ralph Kasuba, who I worked with at iContact, Teradata, and ChannelAdvisor. Each of them had a more modern servant-leadership style that I learned from. In particular, Ralph was a great role model in how he was egoless and truly walked his talk. We have to view software testing in the same way we view software development. It’s a crucial skill, activity, focus that needs to be done by professionals in order for us to deliver world class products. Hexawise: What one or two software testing-related experiences have you found to be most personally satisfying in your career? Bob: They’re always from a leadership perspective and they align with my leadership style and agile approaches as well. I have unfortunately, quite often take on “beaten down” testing teams. In that they are overworked, undervalued, misunderstood, and second-class citizens to their development counterparts. Turning this around on at least 5+ occasions has been one of my greatest pleasures. Seeing testers “rise and shine” is something I cherish. Hexawise: What do you wish more developers, business analysts, and project managers understood about software testing? Bob: I don’t think it’s about software testing as a discipline itself. Although I always encourage folks to become more well-rounded, as I did. I guess I more want them to be more respectful of the discipline of testing and empathetic and respectful of their tester/testing colleagues. We have to view software testing in the same way we view software development. It’s a crucial skill, activity, focus that needs to be done by professionals in order for us to deliver world class products. Hexawise: What advice do you have for those responsible for managing software testers? Bob: Well, I think I’ve answered part of this before. That is, hopefully understanding the depth and breadth of the science of software testing. So that you can respect it, it’s value and its practitioners. A current trend, largely driven by agile adoption, is to have developers serve as SDET’s or software development engineers in test. And by doing so, these testers typically report to development management. I generally think this reporting relationship causes the testers to struggle to differentiate themselves. And this isn’t a tester problem. It’s a development leadership challenge to better understand and support the testers and testing. Hexawise: Describe a view or opinion about software testing that you have changed your mind about in the last few years. What caused you to change your mind? Bob: I’ve been fairly consistent in my views on software testing for quite a few years. And I really haven’t changed my mind. I’ve shifted though. For example, I’ve shifted towards valuing Exploratory Testing more and more as a valid testing tactic. Especially in agile contexts. I’ve also shifted my views towards test automation strategies. Moving away from single-source tools and UI-driven strategies. But I think of these as more evolutionary than 180-degree shifts. Hexawise: What specific suggestions for testers working within an organization using agile software development methods? Bob: Stop thinking of yourself as a tester that is independent of the developers. Meaning waterfall or silo-based thinking. Instead, realize that if your testing on an agile team, you are part of the team. And the overall team is responsible for the testing decisions and execution and for the overall product quality. Hexawise: Have you seen agile retrospectives used in the testing context? What advice would you give those interested in including testing in the retrospective process? Bob: Yes, well, not in the testing context. In the whole-team context where testers are part of the team and the team has periodic retrospectives. I would say that an agile organization has a whole-team responsibility to include all team members in any retrospectives. Period! Hexawise: Have you seen a particularly effective process where the software testing team was integrated into the feedback from a deployed software application (getting feedback from users on problems, exploring issues the software noted as possible bugs...)? What was so effective about that instance? Bob: Again, in agile, it’s whole-team. And as such, then the product owner should be facilitating this feedback for the entire team to experience. Customer engagement and transparent interactions are key for the team to effectively deliver software for their customers. Software that delights them and fully meets their needs. Stop thinking of yourself as a tester that is independent of the developers. Meaning waterfall or silo-based thinking. Instead, realize that if your testing on an agile team, you are part of the team. And the overall team is responsible for the testing decisions and execution and for the overall product quality. Hexawise: Large companies often discount the importance of software testing. What advice do you have for software testers to help their organizations understand the importance of expecting more from the software testing efforts in the organization? Bob: I know. And it continues to make me sad. As far as organizational understanding, I’m not sure they can. One of the advantages of agile teams is the testers don’t have to “sell” their importance or value. The entire team does. So agile instances can help with this. But the other point is that some organizations are “stuck”. And the only thing they might understand is testers moving on to greener, more supportive, pastures. Voting with their feet, if you will. Perhaps a large drain of these great folks will get their attention? Hexawise: I see that you’ll be presenting at the The Triangle Information Systems Quality Association conference in North Carolina this month. What could you share with us about what you’ll be talking about? What gave you the idea to talk about it? Bob: I’ll be sharing on various aspects of testing (automation, team dynamics & tools, and leadership dynamics) at the conference. These are workshop topics that I’ve been co-delivering with my colleague Mary Thorn for a number of years. They are usually packed and the feedback is very positive, so I think the topics are still quite relevant and useful to our “clients”. Which is the why behind our sharing. Hexawise: What advice do you have for people attending software conferences so that they can get more out of the experience? Bob: Network. Even if you’re an introvert, force yourself to engage with others, have conversations, and extend your network for future learning. The essence of conference is “confer”, so folks need to be prepared to do that. Hexawise: Do you have advice for testers looking to move into roles that involve supervising or other management responsibilities? Bob: No. I’d actually recommend that everyone stay away from roles/titles that emphasize “supervision” or “management”. Instead, focus on stepping up to lead from wherever you are. Leadership skills are key and, again, you should find opportunities in agile teams to lead. TechWell interview on management: Why Managers Should Stop Managing and Start Leading. Hexawise: What software testing-related books would you recommend should be on a tester’s bookshelf? Elisabeth Hendrickson’s book on exploratory testing: Explore It! And finally, the book Lessons Learned in Software Testing – A Context-Driven Approach by Bach, Kaner, and Pettichord. He’s published three agile focused books: The Three Pillars of Agile Quality and Testing in 2015, Scrum Product Ownership, in 2009 – 2nd Edition in 2013, and Agile Reflections in 2012. He’s also a prolific writer & blogger and podcaster. Bob may be reached directly at: bob@rgalen.com.